Referee is the final decision-making authority and the sole responsible person for enforcing the Laws of the Game during any football matches. According to FIFA’s instruction a referee with his two assistant referees should make the ultimate decision during the course of a match which players should abide by. Referees are trained in national camps affiliated by FIFA and each national organization recommends its top officials to FIFA for their final FIFA International Referees List. The yellow and red colored cards carried by the referee were introduced by former FIFA Referees’ Committee member Ken Aston, and was first used at 1970 FIFA World Cup in Mexico. FIFA allows referees to wear jerseys among the five colors which are black, red, yellow, green and blue, but referees are required to wear black shorts, black socks during any game. Referees are first described in football by Richard Mulcaster in 1581 and since then they played a vital role in any match, Sports Show team compiled a list of Top 10 Best Football Referees in History. Italian former football referee Pierluigi Collina served his terms as a FIFA listed referee from 1995 to 2005. He was named FIFA’s “Best Referee of the Year” a record six consecutive times and is widely regarded as the best referee of international football history. Collina is a current member of the UEFA Referees Committee and also serving his duty as a Chief of the Football Federation of Ukraine since July 5, 2010. He persuaded his referee’s course way back in 1977 and was nicknamed Kojak for his distinctive bald look because of alopecia. After he officiated in 43 Series A matches, he was inducted into FIFA’s Referees List in 1995. Some of the best matches that he officiated was 2002 FIFA World Cup Final between Brazil and Germany, and 1999 UEFA Champions League Final between Bayern Munich and Manchester United. German former football referee Markus Merk is widely considered as the best football referee of his time and is the record holder for officiating highest numbers of Bundesliga matches. He was named FIFA’s “Best Referee of the Year” three times and DFB German Referee of the Year a record six times. He debuted as the youngest Bundesliga referee ever in 1988 at the age of just 25. He also officiated football matches at 1992 Barcelona Olympics. He served his terms as a FIFA listed referee starting from 1993 World Cup qualifier until his retirement after the match of Bayern München and Hertha BSC Berlin on the last day of the Bundesliga 2008 season. He is currently the main referee commentator of the Turkish channel Lig TV covering Turkish Super League. Besides his refereeing career, he is also a professional dentist. English former football referee Howard Webb recently declared his retirement from active refereeing on 6 August 2014 in order to serve as the Technical Director of the Professional Game Match Officials Board. He served as a FIFA listed referee from 2005 to 2014 and also officiated in Premier League matches from 2003 until his recent retirement. In 2010, he served as the referee of the UEFA Champions League Final and FIFA World Cup Final, and became the first referee to do so in a single calendar year. Webb also officiated in many FA Cup finals, FA Community Shield finals and the Football League Cup finals. He was named FIFA’s Best Referee of the Year 2010 and also received 2011 New Year Honors for his contribution to football. Before he turned towards his refereeing career, he was a sergeant in the South Yorkshire Police. Danish former football referee Kim Milton Nielsen was famous for his distinctive 6 feet 6 inches tall look as he was taller than most of the international football players. He had officiated 154 internationals and 53 UEFA Champions League matches during his career starting from the time he was listed as the FIFA referee in 1988 at the age of just 28 until his retirement on May 16, 2006 after reaching the UEFA regulated age limit of 45. He also officiated in two matches at 1998 FIFA World Cup in France and refereed the semi-final between Brazil and Turkey at 2002 FIFA World Cup in Korea-Japan. Nielsen refereed in vital matches in UEFA Champions League and UEFA Euro Cup such as 1994 UEFA Cup final, 2004 UEFA Champions League Final and 2005 UEFA Champions League quarterfinal. Besides the refereeing career, he also serves his duty as an IT Manager. Retired Hungarian football referee Sandor Puhl is widely considered among the top referees in soccer history but sadly, he is a highly criticized figure in Spain due to his negligence at 1994 World Cup quarter-final between Italy and Spain where Mauro Tassotti elbowed Luis Enrique on the face in the penalty box during injury time where the impact broke Enrique’s nose. FIFA also heavily criticized his negligence of not giving penalty or card in that match, and later suspended him for eight international matches. He was mostly known as the referee of 1994 FIFA World Cup final between Brazil and Italy. He was named World’s Best Referee of the year consecutive four times from 1994 to 1997 by the International Federation of Football History and Statistics. Besides refereeing, he also served as the Deputy Chairman of the Hungarian Football Association from 2000 to 2006. Danish former football referee Peter Mikkelsen is often regarded as the pioneer of the great Danish refereeing. He was listed as the FIFA affiliated referee and officiated two matches at 1990 FIFA World Cup in Italy at the age of just 30. 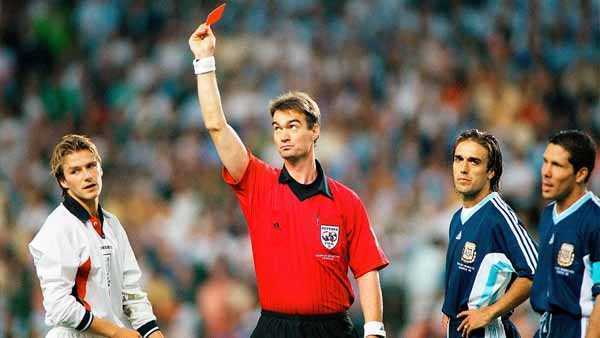 He again officiated in three matches at 1994 FIFA World Cup in USA. Besides international football, Mikkelsen also refereed matches at UEFA European Football Championship tournaments in 1992 and in 1996. 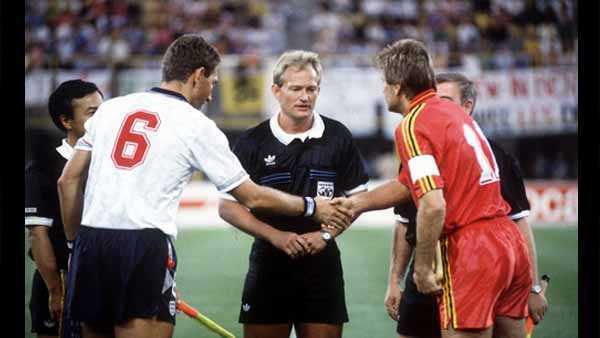 Mikkelsen was named World’s Best Referee of the year 1991 and 1993 by the International Federation of Football History and Statistics. He declared his retirement from active refereeing after 1998 FIFA World Cup Qualifiers. Besides his referring career, he also serves his duty in the Human Resource department of the Danish company F-Group. Retired French football referee Michel Vautrot is considered as one of the best referees from France. But he made a hilarious funny decision while adding 8 minutes of stoppages time at the 1990 FUFA World Cup semifinal between Italy and Argentina as he stated that he forgot to check his watch. He refereed two matched in 1982 FIFA World Cup and three matches in 1990 FIFA World Cup, and also refereed 1983 FIFA Club World Cup final at Tokyo National Stadium. Besides his international career, Vautrot also refereed matches in three European Championships from 1984 to 1988 and also conducted 1986 Euro Cup Final between FC Barcelona and FC Steaua Bucharest. He was named World’s Best Referee of the year twice consecutively by the IFFHS. He was highly criticized after FIFA banned FC Roma for bribing him with £50,000 prior to the 1986 European Cup semi-final. Portuguese football referee Pedro Proença is widely considered as the best referee of modern times who is still active in the international football. He was the first referee to officiate both the Finals of the UEFA Champions League and UEFA European Championship in the same calendar year. He was listed as the FIFA affiliated referee in 2003 and also listed in the UEFA’s Elite category in 2009. He was named Best Referee of The Year in 2007 and 2011 by the Portuguese Football Federation and also named World’s Best Referee of 2012 by IFFHS. Besides his international achievements, he also refereed many vital club matches which include Taça de Portugal finals, Taça da Liga finals and Supertaça Cândido de Oliveira. He is also one the most used referees in 2014 FIFA World Cup in Brazil. Retired Colombian football referee Oscar Ruiz Acosta is considered as the best Colombian referee of all time and was listed as FIFA affiliated referee from 1995 to 2011. He is currently serving his duties as a member of FIFA referee instructor team. He debuted internationally on 12 July 1995 in a match between Paraguay vs. Venezuela. He also officiated in three consecutive world cups starting from 2002 FIFA World Cup till 2010 FIFA World Cup. Ruiz was highly criticized after he sent off Yoann Gourcuff in the final group stage match between France and South Africa. After his retirement from active refereeing, he served his terms as a member of CONMEBOL’s referee assistance program. Besides his football career, he is also a lawyer by profession. Retired Belgian football referee Frank de Bleeckere was named Belgian Professional Referee of the Year for a record seven times starting from 2000 to 2013. He was debuted in 1984 and was listed as the FIFA affiliated referee from 1998 to 2012. He was debuted internationally in a match between Cyprus and Ireland at 2002 FIFA World Cup Qualifier on 24 March 2001. Bleeckere then continued his international journey by refereeing many matches at 2003 FIFA World Youth Championship, 2006 FIFA World Cup qualification and 2005 FIFA U-17 World Championship. Besides his international career, he was also officiated in UEFA Euro 2004 and 2008. He is also the only referee from Belgium to officiate in 7 world cup matches in 2006 FIFA World Cup and 2010 FIFA World Cup. He also served as one of the 16 “Refereeing Technical Advisors” of FIFA in 2012.
International Federation of Football History and Statistics inaugurated their World’s Referee of the Year award way back in 1987, and Brazilian referee Romualdo Filho was the first referee to be apprised the honor. Other notable mentions as the best referees of all times are José Robert Wright, Viktor Kassaï, Cüneyt Cakir and Bjorn Kuipers. 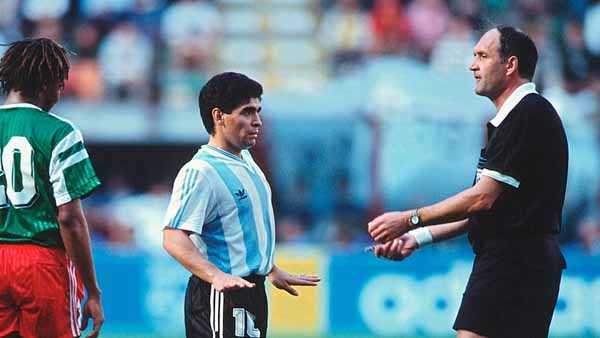 So This Was Our Pick of Top 10 Best Football Referees Of All Time.